However, the beaches, rain forests, volcanoes, and wildlife are not to be overlooked. Whether you are a passive vacationer or outdoor extremist, Hawaii public colleges and universities will provide you with limitless attractions and entertainment all year. Hardly ever will you have to pull out a sweater or jacket. And this is to say nothing of the plentiful water sports that are available. When the ocean's waves reach a certain height, many businesses are closed since locals do everything they can to take advantage of the abundant surfing and body-boarding. Looking for a Hawaii Public College? The state has several public colleges and universities across the four main islands. With 7 inhabited islands making up this paradise, many people are surprised to find out that one university operates all of the higher education institutions in the state. These schools belong to the University of Hawaii System which oversees three universities, two on Oahu and on one the Big Island; along with seven community colleges. The University of Hawaii system is managed by the university's Board of Regents. The University of Hawai'i System includes 10 campuses and dozens of educational, training and research centers across the Hawaiian Islands. As the public system of higher education in Hawai'i, UH offers opportunities as unique and diverse as our Island home. 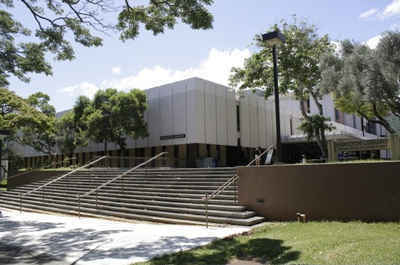 The University of Hawaii at Manoa is the flagship institution in the greater University of Hawaii systemand most popular school. You can major in any subject and not leave your house at all with the convenience of academic accessibility online colleges in Hawaii are able to offer you. Hawaii ranks 19th out of the 50 states in percentage of people with a bachelor's degree. Choose the right online college for you offering you an online college degree.